What distinguishes RightCare Mobility from other mobility businesses, is the sheer size and luxuriousness of the showroom. It's purpose built, boasting air conditioning and a customer kitchen, which is specially lowered for wheelchair access. Everything has been designed with customer comfort in mind. RightCare Mobility has an in-store working model demonstrator stair lift from Acorn Stair lifts - the number one name for stair lifts in Britain. Another coup for RightCare was the acquisition of Kaymed electrically adjustable beds, some of the finest visco-elastic memory foam products in the world and exclusive to RightCare in Yorkshire. RightCare offer several brands of scooter: Sunrise Medical, TGA, Pride Mobility and RMA. Also on offer is Worldwide Mobility products, along with a host of wheelchairs, power chairs, electrically adjustable chairs, bath lifts, tri walkers, rollators and hundreds of daily living aids. Sunrise Medical, of course, supply the Coopers range of aids to the NHS. RightCare are also an approved partner of Autochair Limited of Bakewell, who provide bespoke hoists for the movement of people, wheelcairs and scooters into motor vehicles. General Manager, Phil Melina, says: "this is a prototype business which we hope to replicate across Yorkshire. Ideally, in ten years' time, we'll have established ten mobility showrooms across our county." Phil continues: "my policy is never to sell anything that is not in a customer's best interests. 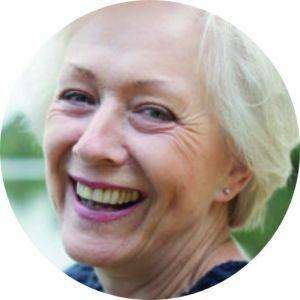 At RightCare, we boast that we really do take the time to look after our customers." 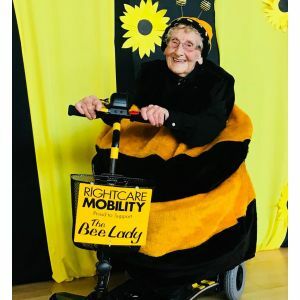 Right Care Mobility are proud to support Jean Bishop - The Hull Bee Lady with her new Mobility Scooter.